book will help students with learning disorders, their parents, and teachers gain important insights into learning problems. Levine combines realism with justifiable optimism and promotes motivation as he suggests specific ways to approach school-work, bypass or overcome learning disorders, and manage the struggles that beset students in school. 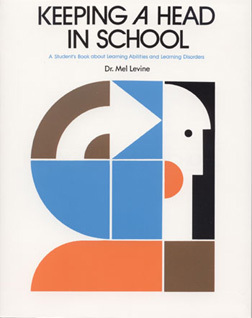 Dr. Levine originally wrote this book for teenagers but it is also very appropriate for adults who wish to understand the various components of learning. Dr. Levine's practical "no-nonsense" approach to learning will help students find a formula for greater success in school endeavors and social skills. Chapters cover the topics of how the brain learns, attention, listening, reading, writing, and math. Most chapters begin with a case study based on the lifelike situation of a student with one or more learning disorders. These little stories continue issues that students can easily relate to. Diagrams, lists, and drawings illustrate important concepts and provide invaluable aid for study skill strategies. Chapters include how the brain works, academic areas and skills involving attention, memory, language, thinking, and social relationships. This book is valuable for teens, as well as any adult who wishes to understand the basic aspects of learning and how "little things" can get in the way of school success.